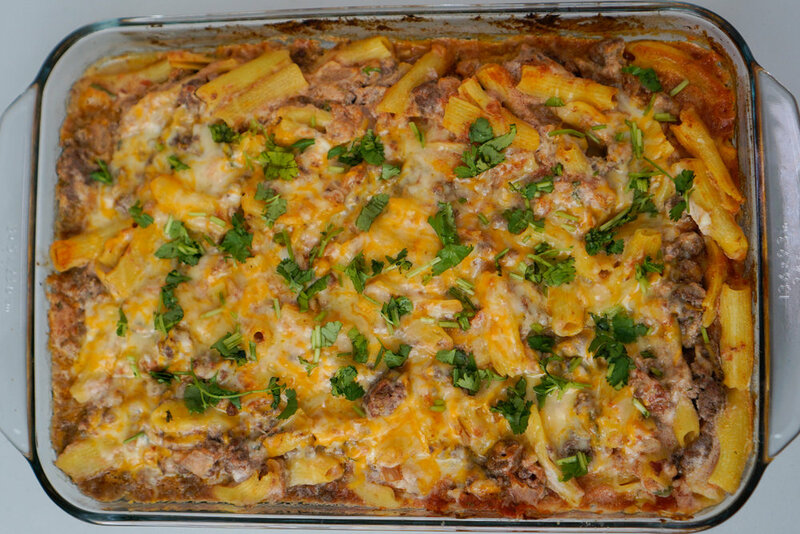 I was craving a casserole/pasta dish and found a Tex Mex Ziti recipe and decided to try it out. Check out my latest recipe post using a majority of ingredients from Milk and Eggs. 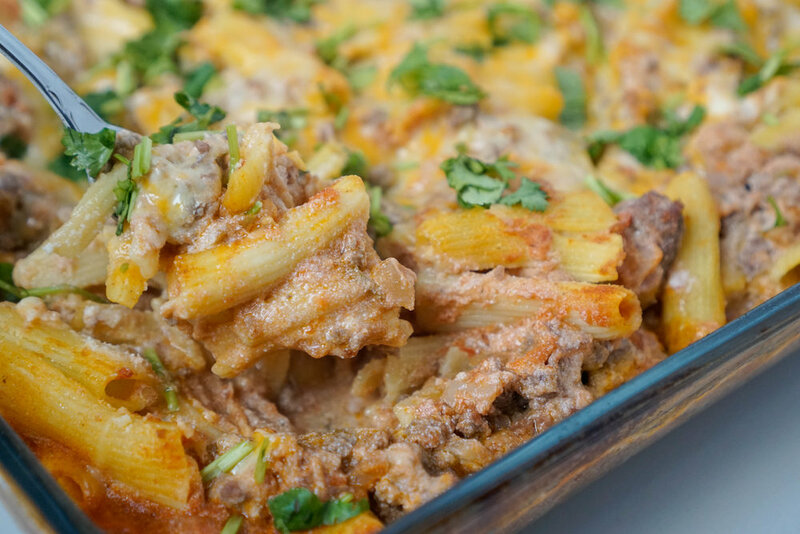 I adapted the recipe from here: https://www.mrfood.com/Pastas/Tex-Mex-Ziti-1585/. Time: 40 minutes. Serves 4. 1. Preheat oven to 350°F. Coat a 9 x 13-inch baking dish with cooking spray. 2. Prepare pasta according to package directions. Drain, rinse, and drain again, and set aside in a large bowl. 3. Meanwhile, in a large skillet over medium heat, brown beef and onion for 5 minutes. 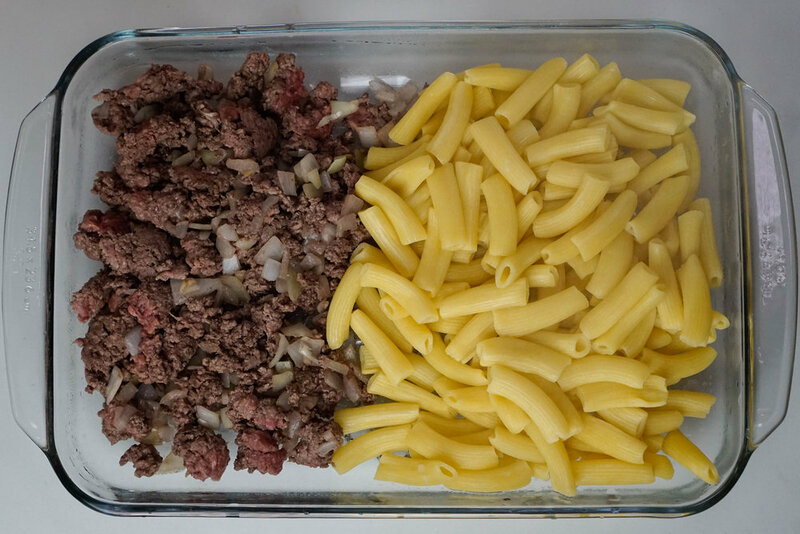 Drain off the excess liquid and add to the drained pasta along with spaghetti sauce, salsa, ricotta cheese, and 1 cup of the cheese. Stir well until combined and spoon into the prepared baking dish. 4. Cover the baking dish with foil. Bake for 25 minutes, removing the foil halfway through. Then remove from the oven and sprinkle with the remaining cup of cheese. Return to the oven and bake for 10 more minutes, or until the cheese melts. Sprinkle with cilantro and serve.